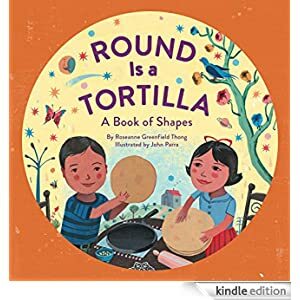 In this lively picture book, children discover a world of shapes all around them: rectangles are ice-cream carts and stone metates, triangles are slices of watermelon and quesadillas. Many of the featured objects are Latino in origin, and all are universal in appeal. This Kindle Fire book is for ages 3-5 and is selling for only 99 cents today.